"Put me down!" I screamed, trying to get away from the three men in black. Roman sighed, trying to keep me from running off as Dean said, "Can&apos;t do that sweetheart." "Don&apos;t you dare call me sweetheart! All three of you have written your death sentences! You hear me, because when I get out of here you&apos;re all going to die a slow and painful death!" I exclaimed, continuing to try to get off of Romans shoulder. They completely ignored me and instead walked into a room, which I guessed was Triple H&apos;s office. Roman set me down on a chair and I didn&apos;t even touch the chair before running forward. Unfortunately, Dean was faster and grabbed me around the stomach before I could go more then a few feet. "Listen, Just stop trying to get away and you should be out of here in a few minutes," Dean whispered in my ear. I didn&apos;t believe him, but I sat down anyways, crossing my arms across my chest, "You know, I&apos;m pretty sure this is illegal. I could call the police on you, then you will all go to jail." Seth smirked at me, "Relax, no need to go that far." I was about to answer back, but the door opened and Mr. MaMahon, Stephanie McMahon, Triple H and Randy Orton walked in. Trie H smiled at me, " Thank you, boys," Triple H muttered as I glared at him, not taking my eyes away from his. "So, not doubting your judgement or anything, but why did we take her in the first place?" Randy asked, looking down at me. "Good question, Randall. We are using her as an advantage, if we have her, that will keep Daniel Bryan&apos;s mind off of you and your title," Triple H answered. Anger burned up inside me, "So what, you just think that you can force me to stay with...you.." I shuddered. 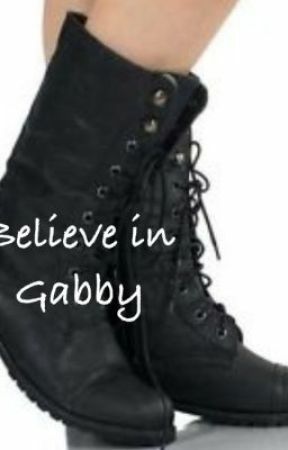 Stephanie talked for the first time, "No Gabby..... Right, it&apos;s Gabby?" I ignored her question, "you won&apos;t be staying with us, you&apos;ll be staying with them," I glanced up to where she was pointing to and saw she was pointing towards the Shield. Seth stated, "That&apos;s not a good id...."
"We&apos;ll do it," Dean interrupted them. Receiving glares from his Shield bro therein and from me. "Their is no way I&apos;m staying with them or any of you!" "Isn&apos;t your choice, anyways, you better get going. Great job tonight," they left leaving me and the three members of the Shield alone. "Nice going, Dean," Seth told him. Dean chuckled, "Oh come on, it won&apos;t be that bad." Seth rolled his eyes, "Really, why the hell would you think we would want to have to take care her." "You know, I am sitting right here, I can hear you," I spoke up. Roman stepped forward and put his hand on Seth&apos;s shoulder, "It won&apos;t be that big of a deal." "Great," Dean said, walking over to me and grabbing my wrist, pulling me to my feet and dragging me along with him. We went through a few halls before reaching a darker area. I breathed with nervousness as we stopped and the three men started grabbing their suitcase. I stood still, looking at my surroundings. Afterwards, they walked into the parking lot and to their car. It was a minivan and I couldn&apos;t help, but laugh, "Nice ride, soccer moms." "When you&apos;re traveling a lot, you&apos;ll like it," Roman said, putting the suitcases in the trunk. Seth climbed in the drivers seat and Roman in the passengers seat, which left me and Dean to sit in the back. I stayed completely silent as they talked about god knows what. The van pulled into a hotel and all climbed out, and I waited we&apos;ll they grabbed their stuff. Dean walked over to me and grabbed my wrist with his free hand, "Don&apos;t make a scene," he muttered, before leading me into the lobby. They got their room and I followed them up the elevator and inside. The room had two beds and one couch. "Seth&apos;s turn to sleep on the couch," Roman said, before walking to one of the bedrooms. Seth say down, "I&apos;m getting right to sleep," he muttered, before curling up. Dean was about to go to the other room, but I stopped him, "Wait, where am I supposed to sleep?" Dean grinned at me, "Well, you&apos;ll probably come sleep in my room so I can keep an eye on you." "No thank you..." I said, but he grabbed my hand and pulled me into the bedroom he was planning to sleep in. Dean left to change, so I started grabbing blankets and pillows from the bed and making my own bed on the floor. Ambrose came back a few minutes later when I was already laying down. Dean sat on his bed and I saw him look down at me, "You know you can just sleep on the bed, I don&apos;t bite." "I&apos;d rather sleep on concrete then sleep with you," I called. "Whatever, but if you want to in the middle of the night, just do it," Dean said, before shutting the light off, Good night." I didn&apos;t answer him, all I could think of was how I was going to get out of this mess.